Through my company Workstylz Ltd which has been established since 2008, first on a self employed basis and then as a Ltd company, I offer professional Virtual Business Support...Read moreThrough my company Workstylz Ltd which has been established since 2008, first on a self employed basis and then as a Ltd company, I offer professional Virtual Business Support to UK, European and International Sole Traders, SME's, Charities, and any organisation that requires Support. A qualified member of the Chartered Institute of Credit Management (AICM), and the Chartered Management Institute(CMI), me and my team provide flexible & affordable support to a variety of clients. We also provide Family Law advice and McKenzie Friend representation at court via a third party provider. Our support allows organisations to concentrate on running their businesses without the burden of administration and paperwork, allowing them to save on the expensive overheads of a permanent employee, without compromising on the quality they provide to their customers. With over 30 years commercial experience and a diverse range of skills in a wide variety of industries, we can generally undertake most projects with little effort or training. Me and my team work remotely from fully equipped home offices, and are highly organised, pro-active, and can skilfully handle a variety of tasks. We offer an extremely flexible service and can work at short notice to the highest standards, and offer competitive rates. Excellent work. Sharon was able to secure payment for some of our historical debts. Totally professional and organised our mailing exactly as stated. I'm looking for a virtual assistant to help run a tutoring agency. Sharon was extremely profressional, punctual and dedicated with a response time of <0.5 hours. Would whole-heartedly reccomend to all. Great working with Sharon and the team. A job well done and really helped us with Credit Control calls and getting debt in during a period of staff shortages. Would certainly recommend to others. 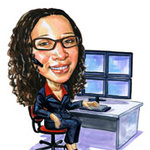 Sharon provided Credit Control assistance, essentially acting as our in-house accounts team. Her duties included contacting our customers' accounts payable teams, confirming receipt of invoices, dealing with queries and chasing payments. She was also responsible for keeping invoice information up to date in our CRM system (Salesforce) and logging payments agains invoices. All of this was done to a high standard and communication with Sharon has been great throughout. I would highly recommend Sharon's services. Thank you Sharon. Would recommend and work with again in the future.